Kids of all ages love the mountains — whether they’re 3 or 33 or 103! You’ll find plenty of attractions that will appeal to family members of all ages, including tubing, go karts, zoos and more! Click on the name below to go to the link. Have a little one with you? Then it’s time to pack up the kids for a trip to BabyLand General Hospital in Cleveland, Georgia. 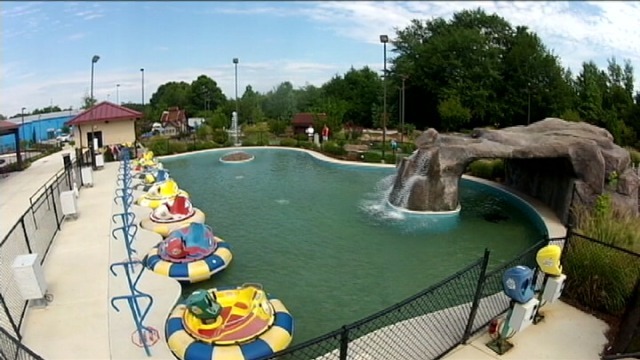 Voted one of the Travel Channel’s “Top Ten Toylands,” BabyLand is situated on 650 acres in the North Georgia Mountains. The Southern style home is filled with Cabbage Patch Kids and will capture the imagination of your entire family. Best of all? Admission is FREE! Mother Cabbage is always on display beneath the branches of the Magic Crystal Tree. Pollinated by fanciful Bunnybees, the magical Cabbage Patch is tended by Licensed Patch Doctors and Nurses. Babyland General Hospital is the only place in the world where you can witness the birth of a hand-sculpted Cabbage Patch Kid. With thousands of Cabbage Patch Kids throughout the hospital, you’re sure to find your perfect match. Take the “Oath of Adoption” and your new baby Cabbage Patch Kid will give you unconditional love. Visit the website or call ahead to check on special events, such as Cabbage Patch Kids Tea Parties! Brasstown Bald, rising 4,784 feet above sea level, is Georgia’s tallest mountain. Its incredible 360-degree view allows you to see Georgia, North Carolina, Tennessee and South Carolina on a clear day. The changing seasons on Brasstown Bald offer visitors the opportunity to experience the wonders of nature for most of the year. You’ll have the opportunity to shop at our unique gift shop; tour a visitor center that focuses on Georgia history, geology and the natural world; and watch a 15-minute movie about the incredible changes to the Brasstown landscape during the year. You can hike to short but steep trail up to the top or take a tram ride for easy access. Brasstown Bald is open daily (10am – 5pm) May through November. It’s open December through April as weather allows, so be sure to call ahead. Brasstown Bald is not far from the towns of Hiawassee and Helen, Georgia, and only a few hours from Atlanta, which makes it the perfect place to visit on your next trip to Northeast Georgia. For mountain scenery and fall color, look no further than Brasstown Bald Visitor Center! Dahlonega, Georgia, has a very interesting history, thanks to its gold-mining, Civil War and trail of tears past, as well as its geology. Join Dahlonega Walking Tours for a variety of exciting tours. Learn about the people who lived there in the past and the people who make the town grand today. Their .6 mile guided Grapes and Ghosts Wine Tour takes guests to five different locations in Dahlonega’s square where they will be able to taste wine while listening to stories about our town’s distinctive history and haunted tales from each stop. The Historic Ghost Tour is a 1.3-mile guided tour of Dahlonega with approximately 10 or more stops. Stops include the historic courthouse; the square’s popular café and most haunted restaurant, the Crimson Moon; the Fred Jones Building; historic residences around the square; a stop at the town’s significant military university founded in 1873; a walk through Mt. Hope Cemetery, which includes veterans from every war and Dahlonega’s most distinguished past citizens; and much more! The Boos and Brews Pub Crawl takes visitors through Dahlonega’s captivating pubs and taverns. 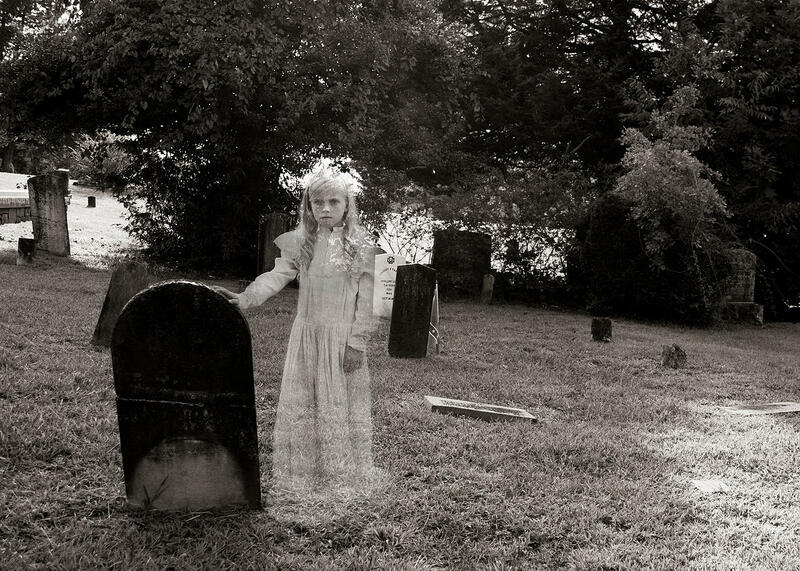 With a minimum of three to four stops, this guided tour will gives guests a relaxed and entertaining look into some of the town’s most haunted and historic locations. Dahlonega is home to 2 residential areas of note, historic registered Hawkins Street and lovely, tree lined Park Street, as well as the Historic Square. Park Street features, Seven Oaks, the home of Willliam Pierce Price, founder of the University of North Georgia. The tour not only covers Dahlonega’s unique history but features stories of the individuals and interesting characters who made our town what it is today. Did you ever want to pan for your own gold and gemstones, right where the old timers found it in the early 1800s? Then visit the Gold ‘N Gem Grubbin’ mine and enjoy the fascinating history of our country’s first major gold rush. Did you know that more goldwasmined in North Georgia than wasmined during the subsequent California Gold Rush of 1849?At Gold ‘N GemGrubbin’, you can pan for gold and screen for gemstones in the convenient sluices, which are located under shade trees with a view of the 7-acre lake. 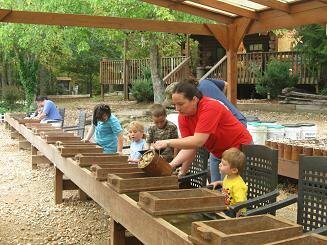 The trained staff will teach you the art of gold panning just like the old timers did it! The staff will be close by to help you identify your gemstones and evaluate them for cutting. You will be pleasantly surprised as you hunt for your treasure — your success is guaranteed!Gold ‘N Gem Grubbin’ is North Georgia’s only commercially operating gold mine, and was formerly a productive part of the Loud Mine. It is said that prior to the Civil War, the Loud Mine supplied $2 million of the $7 million of minted gold bullion coins at the nearby Dahlonega Mint. At the time, the Dahlonega Mint was the only branch mint for the United States. After the Civil War, some gold mining resumed in Georgia but never gained the momentum it had previously. Gold ‘N Gem Grubbin’ opened in 1984 so you could also try your hand at finding that elusive yellow treasure! Visit Hillcrest Orchards, the most popular apple orchard and farm market in the North Georgia Mountains. Located near Ellijay, Georgia, in Gilmer County, Hillcrest makes a great fall day trip — it’s only 1- 1/2 hours from Atlanta or Chattanooga. Hillcrest is family owned and operated since 1946, and offers loads of fun for kids, adults and seniors. Pick your fun at the annual “Apple Pickin’ Jubilee,” where you can pick your own apples, milk a cow, watch live pig races, visit the petting farm, take a wagon ride through the orchard, visit the Moonshine Museum and watch live bands and cloggers on the Hillcrest Stage. You can also visit the playground and ride the giant slide down the mountain. Come hungry because there’s more food than you can hold! The bakery and ice cream parlor makes delicious homemade fried apple pies, apple cider doughnuts, apple fritters, pizza, ice cream, fried oreos, funnel cakes and fudge. Wash it all down with some fresh cold apple cider. There’s also a grill fired up in the festival area for hamburgers, hot dogs, barbecue and roasted corn. Be sure to try the chicken on a stick and grilled corn on the cob. For great family fun, visit Hillcrest Orchards and the “Apple Pickin’ Jubilee” this fall. Don’t forget to bring your camera for great picture opportunities. Situated along the shores of Georgia’s Lake Sidney Lanier, just 45 minutes outside of Atlanta, Lanier Islands features 1,500 scenic acres beckoning to families and corporate groups alike. Marrying luxurious resort amenities with the unparalleled natural beauty of North Georgia, a Lanier Islands vacation is one to be treasured long after your bags have been unpacked and your photos have been uploaded. The sprawling grounds feature an assortment of pet-friendly accommodations, from stunning suites and family friendly ranch-style lakehouses to rustic campsites and splendid villas. After a perfect night of sleep, Lanier Islands offers a multitude of experiences for your enjoyment and exhilaration. Play a round of golf on the award-winning course, gallop through the woods by horseback, zipline through the trees on a guided canopy tour, cruise across the lake in a private pontoon, or explore a variety of dining options onsite. In the summertime, splash away at LanierWorld, and in the winter, discover the brand new winter experience: SnowWorld. Whatever your reason for visiting Lanier Islands, Georgia, there will always be more reasons to return. Make yourself at home at the hotel in Buford, Georgia, and allow yourself to unwind and open up to the endless adventures that await. See you at the lake! Mountain Fresh Creamery is a family owned business specializing in high-quality, all-natural, non-homogenized dairy products. We have our own farm, Glo-Crest Dairy, where the cows are cared for and pampered. Our milk is only from our cows and is minimally processed by vat pasteurization, so the cream still floats to the top and all the flavor and nutrients are intact! From our milk’s cream, we make fresh churned butter and ice cream! Our ice cream is available year-round and can be enjoyed in hand-dipped cups and cones, containers or milkshakes. Locally grown and made products can also be found in our store. We’ve recently opened our doors to farm tours so that everyone may see what exactly goes on on the farm. For tour reservations and more info on our products visit us at: www.mountainfreshcreamery.com. We are located in Clermont, Georgia, just between Helen and Gainesville on Hwy 129. The North Georgia Zoo is the perfect place to take the family and visit with hundreds of animals. Get up close and personal with new animal babies and also meet some famous animals. You can have fun feeding a variety of rare, mini and unique farm animals. Pony rides and bottle feeding are always a favorite with the kids — it’s a hands-on experience they’ll never forget!Take a wildlife walk or a ride through the Zoo to view a wide variety of animals, including camels, zebras, water buffalo and more. One of the most popular attractions at the Zoo is the Camel Encounter. You can also sign up for Behind the Scene Tours, Sunset Tours, Starry Night Tours, Winter Wonderland Tours, Mommy & Me Days, Shadow a Zookeeper Day and even Zoo Camp!There’s always something to see and something fun to do at the North Georgia Zoo. Make plans to visit today! 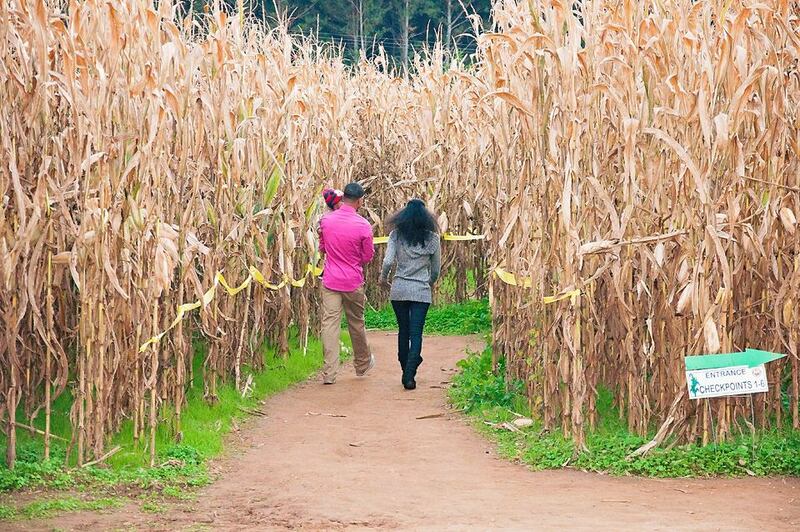 Uncle Shuck’s Corn Maze is a 12-acre field of corn that has approximately 4 miles of trails, twisting and turning, and sometimes, coming to a deadend! Each year there’s a new and challenging maze, with checkpoints so you can work individually or as a team. The maze is designed to be challenging, but still allow visitors to exit at any time that they wish. An average journey will take as little as 30 minutes to complete one maze, or as long as 2 hours to complete both mazes.In October, challenge yourself with the Haunted Maze (if you dare!) on weekends at dusk. You can also take a relaxing nighttime hayride through the farm and enjoy the beauty of the country night sky. The hayride ends at a cozy bonfire where you can roast marshmallows and sink into the calming crackle of true farm-style relaxation. In addition to the maze, you can pick out a pumpkin in the Pumpkin Patch to take home — they come in every size, shape and color! You’ll also find a variety of seasonal decorations, including Indian corn, corn shucks, gourds and mini pumpkins.